Nowadays few people spend their entire career with one company, but three members of the Anctil family have done just that. For more than 60 years Léopold Anctil and his children, Michèle and André, have been Resolute foresters in Mauricie (Quebec). Léopold Anctil grew up in poverty in the Lower St. Lawrence region and put himself through school by playing hockey and baseball, earning $50 to $100 for a home run. In 1956, before he had even finished his education in forestry, he was hired by Consolidated Paper as an engineer. Their children, Michèle, the oldest, and André, were born two years apart in Dépôt Cyprès before the family settled permanently in Grand-Mère. 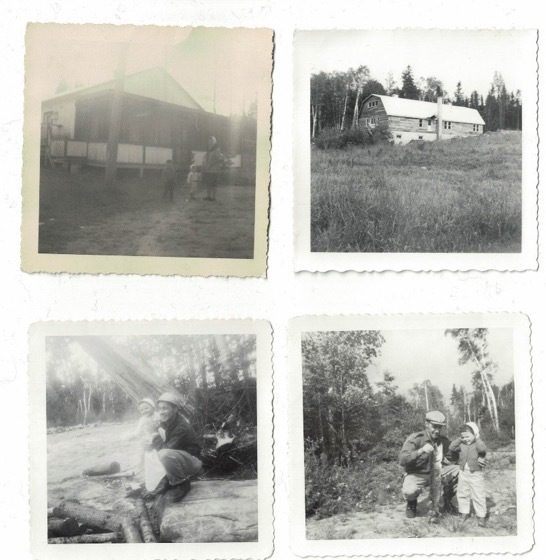 Sometimes the children were allowed to go to the lumber camp with their dad: it was quite an adventure! “Seeing the camps and all the logging equipment makes a big impression on a little guy,” André recalls. There’s nothing surprising about the fact that André followed in his father’s footsteps. But Michèle’s decision to go into forestry really surprised her parents… especially after she had graduated with a bachelor’s degree in classical piano. “Michèle was a total surprise! We never expected that,” says Mrs. Martel-Anctil. Michèle began working at Resolute as a new forest engineer in 1983. “At the time, she was the only female forester,” says André. Léopold Anctil passed away in 2010 in Grand-Mère, where the family still lives. He was loved by all, especially his son. “My dad was the greatest! He was very level-headed and wise. He was the one who taught me how to play baseball.” Like his father, André became an all-star player and spent five years as a pitcher in Quebec’s minor league. 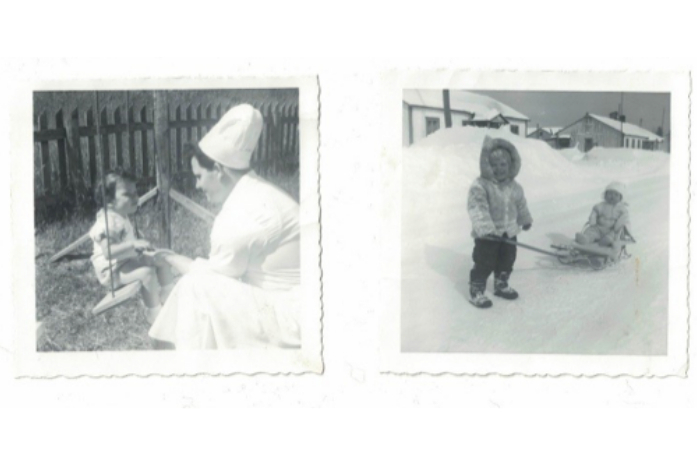 Left photo: Michèle Anctil, on her swing, is offered cookies by the Dépôt Cyprès cook;Right photo: Michèle Anctil pulls her little brother André on a sled in Dépôt .Cyprès. 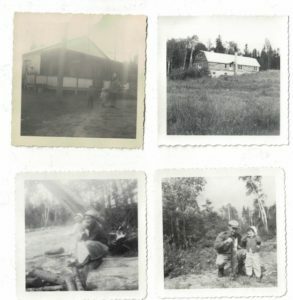 Upper left photo: Michèle Anctil, André Anctil and their mother Lucille Martel-Anctil in front of their house in Dépôt Cyprès; lower left photo: Léopold Anctil with his son André in the forest; lower right photo: Léopold Anctil with his daughter Michèle in the forest.